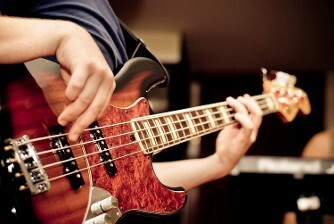 Bass Guitar Lessons Brighton. Become the musician you want to be by taking electric bass lessons and upright bass lessons from experienced professional bass teachers Brighton Bass Academy. We provide all styles, levels, and ages. As well as bass and guitar instruction, Guitar Lessons Brighton also teach songwriting and improvisation lessons. Lessons in : Bass guitar, double bass, music theory, composition, harmony, combo, and ensemble bass lessons in Brighton & Hove! We believe that excellence and positive motivation helps students achieve success in learning both the guitar and bass guitar .